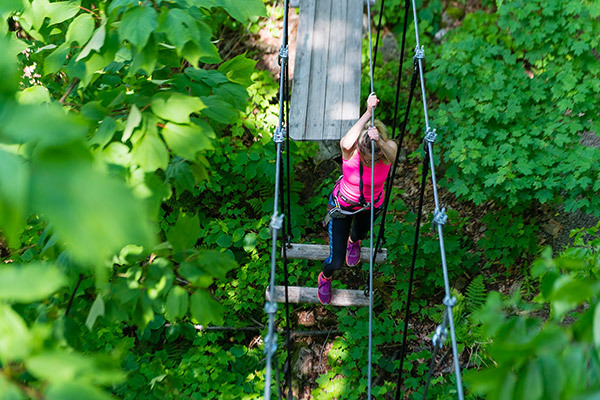 Arbraska Duchesnay is an aerial adventure circuit offering a breathtaking view of Lac Saint-Joseph! 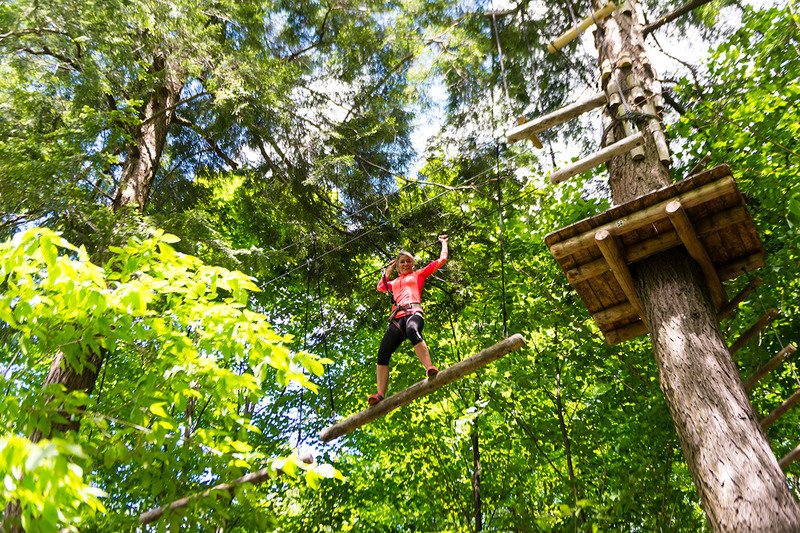 Located a mere 30 minutes from Québec City, this array of circuits – including a special circuit for youngsters 7 to 11, a 1,000 foot zipline, and an extreme loop for those more daring – will delight young and old alike. 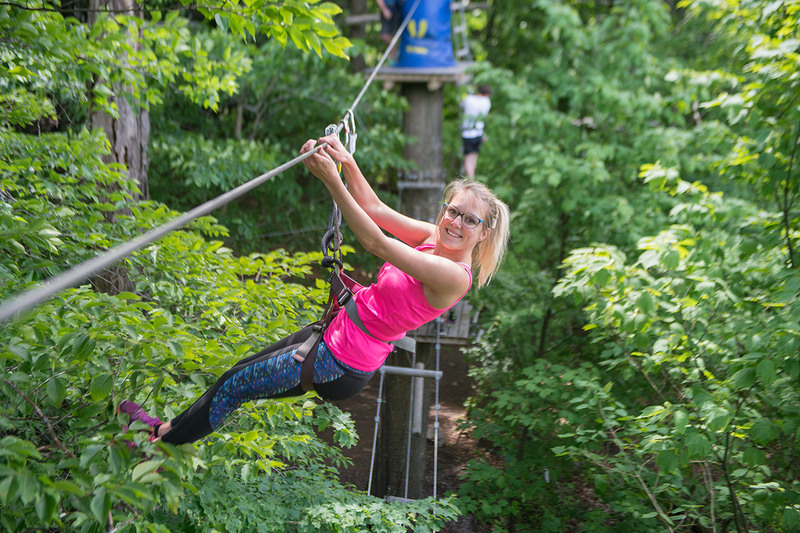 Come for an unforgettable aerial experience swinging through the tree tops in tune with nature! 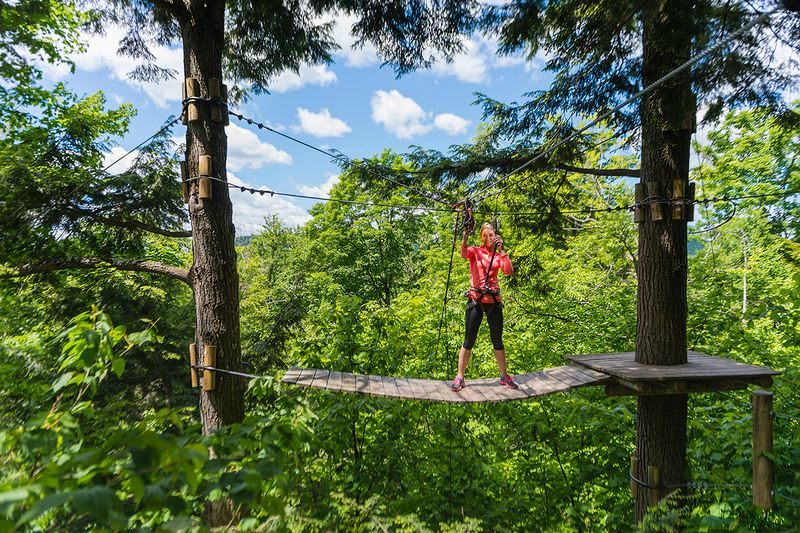 Circuits for adults and teenagers are reserved for those 12 and over, more than 1.80 metres tall with arms raised. The circuits must be explored in the following order: green, blue, red, black, and orange. 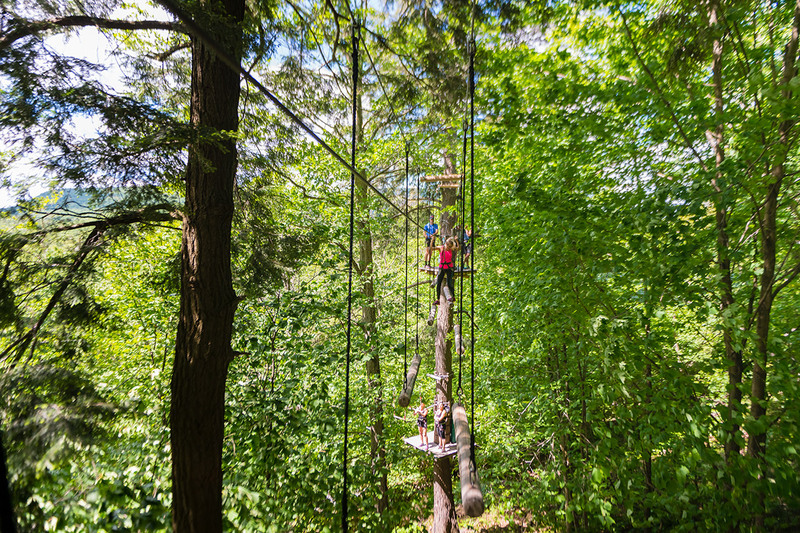 Slowly get comfortable with the aerial hebertism experience on the green circuit, where you’ll feel at ease in the treetops and learn the ins and outs of the activity. 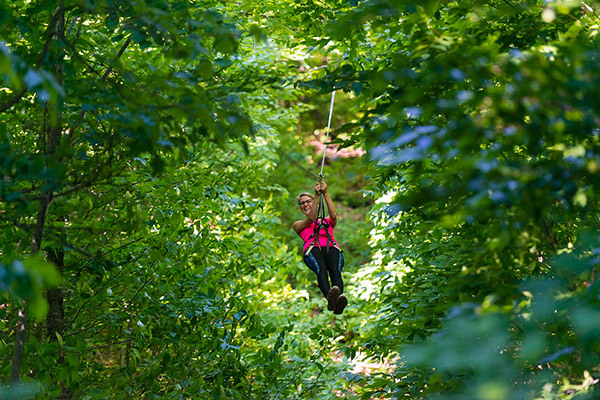 Up the level of difficulty and emotion and let yourself be transported by the Tarzan rope from tree to tree throughout your forest adventure. 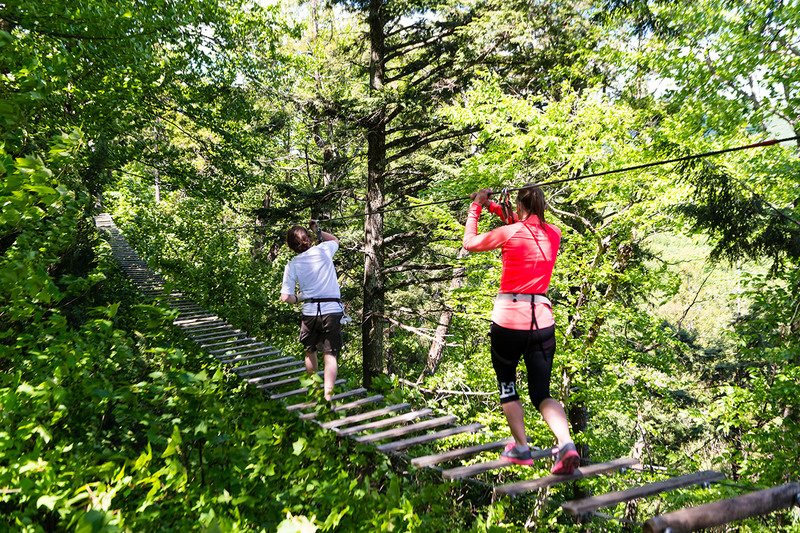 On the red circuit, you'll go from one zipline to the next and be rewarded with a magnificent view of Lac Saint-Joseph. 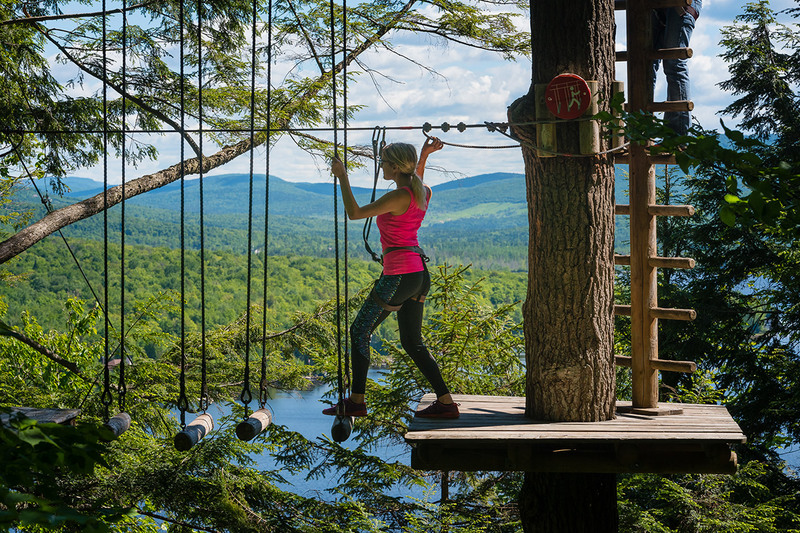 The black circuit offers thrill seekers the possibility of continuing the circuit in the extreme loop, a bold challenge offering a powerful emotional fix. Being in good shape is a must! 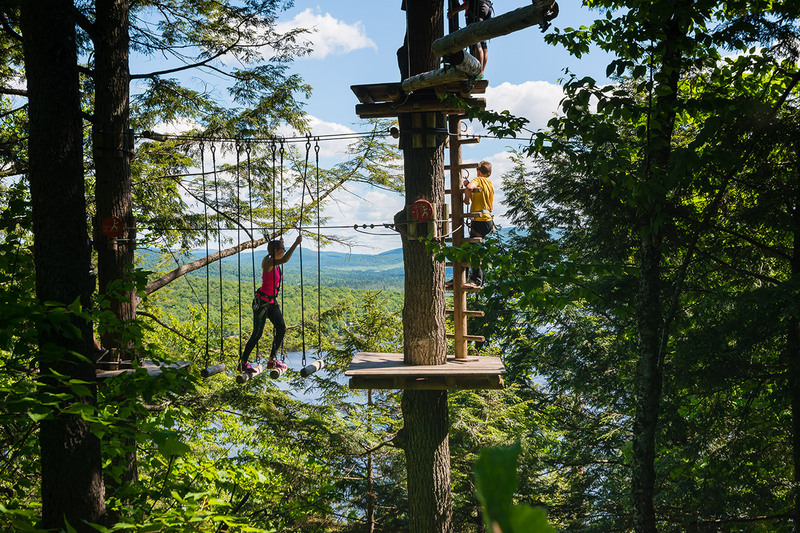 Reward yourself for your efforts by crossing the forest on Arbraska Duchesnay’s 1,000 foot mega zipline. A rush of adrenaline guaranteed! All youngsters under 16 must be in the charge of an adult. Each adult can supervise up to three youngsters. The Young Wolf circuit is reserved for children from 7 to 11, more than 1.40 metres tall with arms raised. Adults can accompany children on this circuit. Perfect for family outings! All youngsters from 7 to 11 must be in the charge of an adult. Each adult can supervise up to three youngsters. * Subject to change depending on weather and traffic. Bookings are required in order to ensure you’re allocated a departure time. Rates in force for the 2018 season. *Valid only for a family of 2 adults and 2 children or 2 adults and 3 children (7 to 17 years of age). Bookings are mandatory for everyone (individuals, families, and groups). Full payment for the activity will be requested at the time of booking. 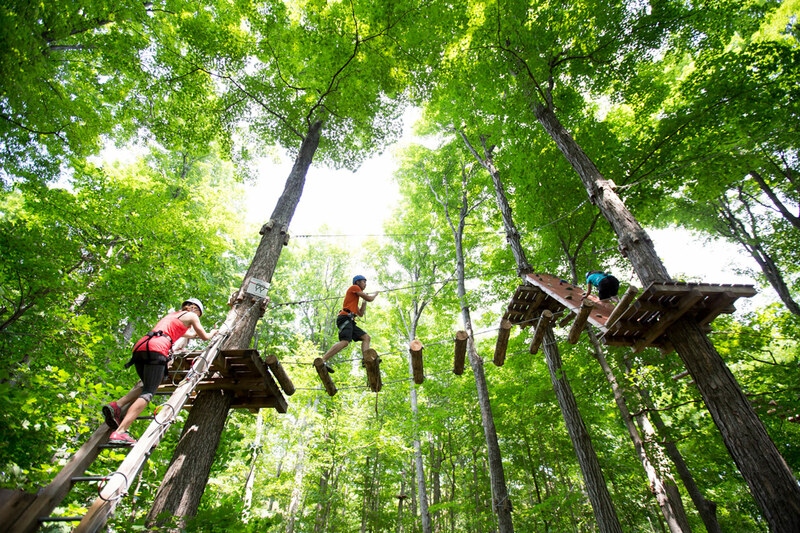 Arbraska Duchesnay, an adventure that will keep your business flying high! Live an unforgettable and original experience with your colleagues, combining nature and thrills. Different adapted packages are available for corporate groups. If your company is seeking an experience for colleagues and their families, packages that include children are offered as well. 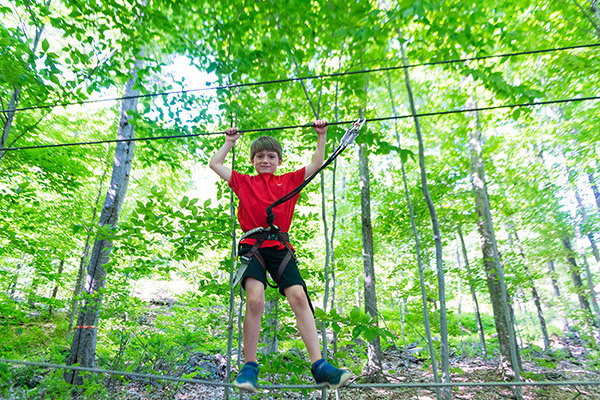 Discovery Circuit Selection of two circuits (among green, blue, or orange) and zipline $27.50/pers. $28/pers. Challenge Circuit Complete circuit (green, blue, red, black, and orange) and zipline $29.50/pers. $33.75/pers. High season: minimum group of 15 people. Low season: minimum group of 10 people. 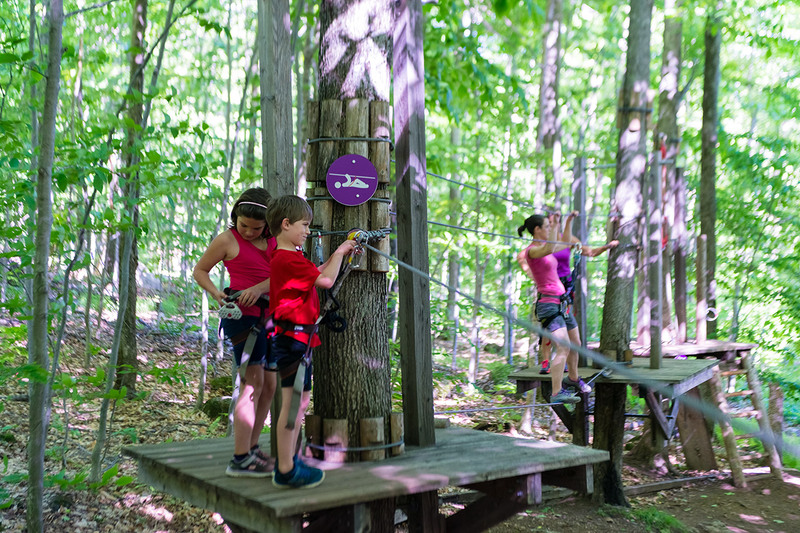 Come and celebrate your child's birthday at the Arbraska Duchesnay adventure circuits. Two turnkey packages are offered with the theme of pirates or superheroes. Booking recommended at least two weeks in advance at 418-875-2711, ext. 4276. Valid for groups of five to seven children. Parents will have to sign a waiver before the activity. 25% deposit at the time of booking (non-refundable in case of cancellation). A week or more before the party: possible date change depending on availability (no later than October 20, 2018). Less than a week before the party: no modification or cancellation possible. In order to ensure the safety of our customers, headphones connected to a music-listening device are prohibited on circuits. * Please note that the maximum measurements for harnesses are 46 inches for the waist and 26 inches for thighs. You cannot leave the premises with equipment and return to finish the activity later on. All activities and platforms are secure and protected. Instructions and ground tests are presented by professional patrol guides before each departure. We install and check all individual equipment at your disposal (harnesses, lanyards, pulleys, carabiners). Only park equipment is allowed on the circuit. All equipment complies with existing standards. Explanatory panels indicate what should be done at each step of the way. You must remain fastened along the red line throughout the entire circuit. Management reserves the right to exclude anyone who does not comply with safety instructions and to interrupt the activity in the event of weather conditions deemed dangerous for your safety. Arbraska Duchesnay has a safety obligation with regard to its users and commits to upholding this duty for the well being and safety of all. Please note that fees apply at all times. The activity can only be canceled in the event of closure for important weather-related reasons (electric storm, violent winds, violent rains, etc.). However, ordinary rain does not in any way prevent the activity from being held.